Say the words “Restaurant Week” in the middle of a crowd, and watch every foodie’s face light up with glee. Outside of the Christmas holiday, Restaurant Week is possibly the second most wonderful time of the year. Think about it. All of the fantastic eateries that your favorite restaurant critics raved about all year will be offering their signature dishes at a fraction of the price. Needless to say, Restaurant Week is well worth the hype. From a business perspective, it’s also a great marketing opportunity for old and new restaurants. That’s why restaurants in 150 cities across the U.S. take part in the week. With multi-course, prix-fixe lunch and dinner menus, owners give their guests the opportunity to taste all the flavors of their restaurant. And, if every guest leaves with happy taste buds, there’s a strong chance they will come back for more after Restaurant Week is over. Here are a few tips for restaurant owners to have a successful Restaurant Week in 2019. You want to make sure your Restaurant Week menu represents everything the restaurant has to offer. The best way to do that is to build your menu around your signature dishes. These are the items that make your restaurant stand out from others in the area or city. These dishes are the ones that will give the best impression, making diners want to come back for more. Don’t forget to send an email to your regulars to let them know that their favorite dishes are on discount. Offer vegan, vegetarian and gluten-free menus. You want as many people as possible to eat at your spot during Restaurant Week. The best way to ensure that you have a great turnout is to include a variety of health options on your menu. People with vegan, vegetarian, and gluten-free diets love dining out as much as the next person. If you make sure to show them some love on your Restaurant Week menu, there’s a good chance they’ll become a loyal guest. Create a special experience with a unique menu. Sure, a guest can come into your restaurant any day of the week and get their hands on your signature burger. But what about creating a super, duper special burger that guests can only get during Restaurant Week? 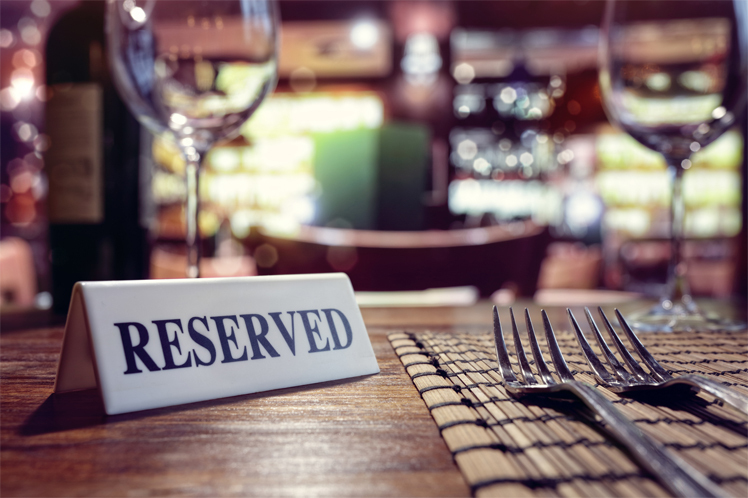 If you can generate a buzz around special items on your Restaurant Week menu, people will flock to your location to get a taste before it’s all gone. Become best buds with social media. Have you ever clicked on the hashtag #foodporn on Twitter or Instagram? If so, you’ve seen the deliciousness that lies within. Both platforms are perfect playgrounds for generating a buzz around your Restaurant Week menus using beautiful photos, quick videos, and guest comments. Additionally, you can reach a wide and diverse audience when you promote your Restaurant Week menu on social media. If you’re lucky, one of your #foodporn pictures will go viral, which means even more people will see what your restaurant has to offer and come in for a taste. Oh, and did we mention that marketing on social media is low cost? That’s right. What are you waiting for?